Whether you are a government decision-maker looking to improve public satisfaction with criminal justice, a community leader looking to create a safer neighborhood, an employer facing issues of workplace bullying, or a school administrator working to enhance student discipline, you are leading the way on a vital conversation about justice. Just Outcomes supports communities and organizations in developing just responses to harmful actions or situations. We envision vibrant and resilient communities built on the strength of just relations. We are delighted to announce the launch of our website! c) our team’s experience and working relationships position us to assist people through these changes in unique ways. We look forward to partnering with you in building solutions when questions of justice are brought to life in your organization or community. 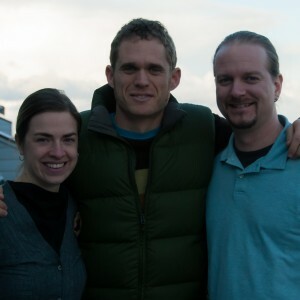 The inspiration behind Just Outcomes was born out of the friendships and shared visions between Catherine Bargen, Aaron Lyons, and Matthew Hartman during Graduate School at the Center for Justice and Peacebuilding, Virginia, in 2008. We created this organization because we share a belief that: a) the way our institutions approach justice and discipline is ripe for evolution and innovation, b) deliberations about justice are a vital arena for human and organizational growth and development, and c) our team’s experience and working relationships position us to assist people through these changes in unique ways.